Your stay in the Smokies will be a pleasure, even if you forget some of these essential items! 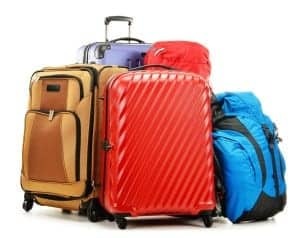 There are convenient stores and shopping areas located throughout Pigeon Forge and Gatlinburg, but to make your trip a little less stressful, don’t forget to pack these items! Cabins are equipped with outdoor grills, so it’s always fun to plan an outdoor meal! Having a cabin cookout is a great way to spend time enjoying the mountain views while being outside with your friends or family! Don’t forget your grilling tools as well as charcoal and lighter fluid! In order to not go to a grocery store, use Smoky Mountain Grocery! They will deliver all of your cookout needs directly to your cabin! Paper products come in handy while during a Smoky Mountain vacation. Paper plates and paper towels are excellent for in-cabin meals or cookouts. With paper products, you won’t have to do the dishes and clean up will be simple. As well as paper products, it is a good idea to pack some trash bags and dishwashing liquid! For those that enjoy a cup of coffee in the morning, make sure you pack up some coffee filters and some of your favorite coffee! These items are often left behind, which will result in a trip to the grocery store! Some of the most important things to remember are your toiletry items! Items such as shampoo and soap can be easily forgotten. Don’t forget items like a hair dryer, hair gel or other beauty supplies you may use regularly! When you are packing for your stay in the Smokies, you can pack a little bit lighter when you choose to stay in a cabin! Cabins are equipped with washers and dryers, so make sure you pack enough detergent to do a couple of loads of laundry! Many convenient stores sell travel packets of detergent, so you don’t have to take a large container! Some cabins are equipped with hot tubs and pools, so you may want to pack a few beach towels. Large towels will also be helpful for guests that choose to visit Dolly’s Splash Country during their Smoky Mountain vacation! There are many local wineries in the Smoky Mountains. If you choose to purchase a bottle of wine, you may be disappointed if you can’t enjoy it in your cabin that night! So, toss your wine tool in your bag, just in case! While planning your stay in the Smokies, review our Gatlinburg and Pigeon Forge cabins for the best selection of cabins in the Smoky Mountains! With Aunt Bug’s Cabin Rentals, you are sure to experience an excellent Smoky Mountain vacation!